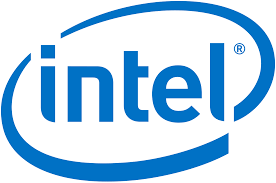 Intel is the world's largest producer of microprocessors, accounting for 75% of this market in 2008 . The main customers of the company's products (according to 2013 data) are manufacturers of personal computers Dell (17%), Hewlett-Packard (15%) and Lenovo (12%). In addition to microprocessors, Intel produces semiconductor components for industrial and network equipment. The company was founded by Robert Noyce and Gordon Moore on July 18, 1968 after they left the company Fairchild Semiconductor. Soon they were joined by Andy Grove, who developed and implemented OKR corporate management method, effectively used in management. The company's business plan, printed by Robert Noyce on a typewriter, took up one page. Presenting it to a financier who previously helped create Fairchild, Intel received a $ 2.5 million start-up loan. Success in the company came in 1971, when Intel began cooperation with the Japanese company Busicom. Intel received an order for twelve specialized chips, but at the suggestion of the engineer Ted Hoff, the company developed one universal microprocessor Intel 4004. The next was developed by Intel 8008. In the 1990s, the company became the largest manufacturer of processors for personal computers. Intel has made a significant contribution to the development of computer technology. Specifications for a variety of ports, buses, standards and command systems were developed with the participation of Intel or its entire staff. For example, the type of DDR memory became known thanks to Intel, although for a long time the company promoted another type of memory - RAMBUS RAM.